Today I will explain how this amazing dessert was invented , was not intentional but became popular among Brazilians and will now conquer America. rigadeiro [bree-gah-de-roh] was first made in the 1940s. During the lean years around World War II, access to fruits and sweets were limited, hence the need to get creative with just a few simple ingredients—cocoa powder, unsalted butter, and condensed milk. 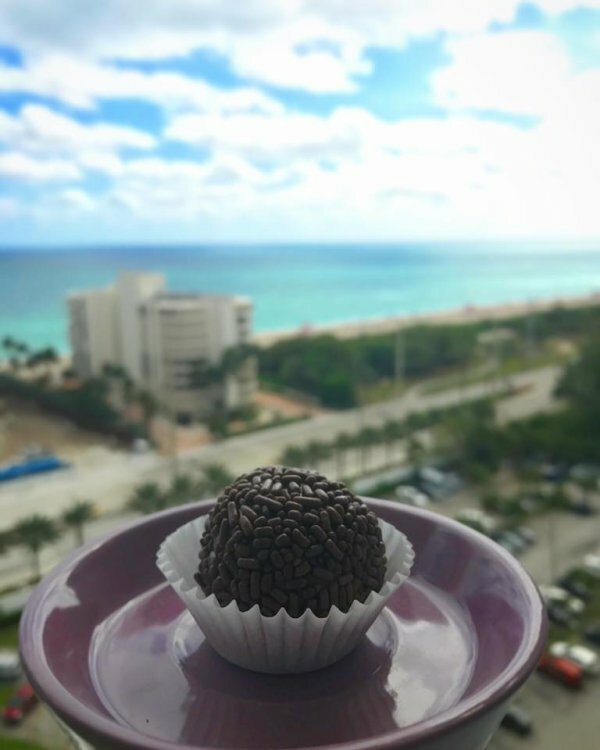 Thanks to a few ladies in Rio de Janiero, Brigadeiro was born. Today, Brigadeiro has wide appeal in Brazil. And here you'll find all sorts of flavors—inspired by the original but taken into wonderful new places. All of them are gluten-free, and they all evoke memories of Brazilian birthday parties, the spirit of togetherness, and the simple joy of a bite-sized treat. This looks so good. I have been trying a lot of different food since I'm young. But I never try Brazilian food so far. I really hope to have the change to try it one day!! So Brigadeiro didn't get the election, but he did get an awesome dessert named after him. I think we all know who REALLY won. Great topic of how this sweet candy started off through history. Learning new things about culturally food is very great for our knowledge. Reading this post made me feel like I was in history class! Very insightful and detailed. I really appreciate this because I have never heard of this dessert until now. You learn something new everyday! It looks delicious, and thank you for this information.